I have Windows 8.1 on my laptop which has been very, very slow. I decided to upgrade to Windows 10 hoping this would fix my problems, however I keep getting a message that 'The installation failed in the First_Boot phase with an error during Sysprep Operation' (pic). I have been researching this problem for 2 days using Google, and have yet to find a fix that makes sense! Absolutely nothing I do seems to work! Can you PLEASE help? " Based on my experience, this won't be an easy fix for most people because it is rather technical. To fix the problem you need to run a series of checks, then try the install again. Also, the fix varies from machine to machine, so the solution is not always the same. I have been hired to fix this problem no less than 25 times, so I have a very good understanding of what needs to be done. Please note that my explanation below is somewhat technical in order to keep the answer short. If you don't understand my answer, I can fix this problem for you using my remote desktop support service. That said, I encourage you to read my solution below, first. Please note that due to the depth of this topic I will not be answering any technical questions through email - only requests for remote support. If you want remote support, shoot me an email. The 'installation failed in the First_Boot phase with an error during Sysprep Operation' error message usually means one of three things, and occurs when you try to upgrade from Windows 7 or 8 to Windows 10. I'll explain those scenarios below. When Windows is first installed, it creates an "System, Active" partition (which is usually 100mb large). During a Windows upgrade, this partition needs to be modified. Sometimes the "System, Active" partition is corrupt or runs out of space, which then causes the Windows upgrade to abort. Here is an example of the "System, Active" partition on an MBR file system; here is an example using GPT. The solution here is to use a third party utility (MiniTool Partition wizard - free) to allow you to assign a drive letter to the "System, Active" partition, then run CHKDSK on the drive to ensure the file system is not dirty. 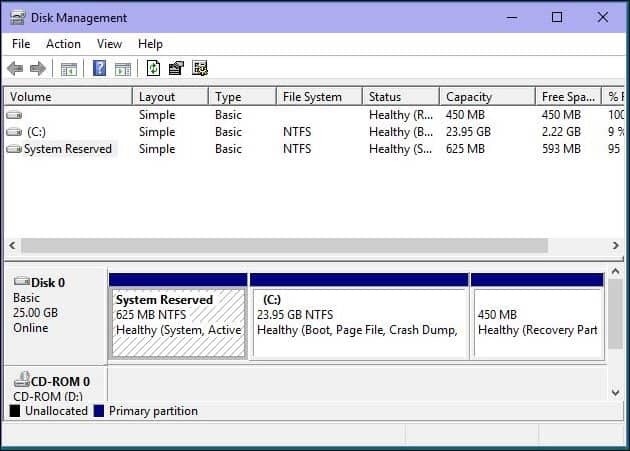 Next, use the partitioning software to increase the "System, Active" partition to 1 GB. When that is complete, you must run CHKDSK on all partitions because - based on my experience - adjusting the hard drive geometry often corrupts the file system (possibly on multiple partitions), which will cause the Windows upgrade to fail. Once everything passes, you can try and run the Windows 10 installation. If you tried Option #1 above and it still doesn't work, another very (very!) strong possibility is that your user account is corrupt, Windows is corrupt, you have a dirty file system, or possibly bad sectors on the drive. In this case your options are somewhat limited, depending. The solution here is to run CHKDSK (check disk) on your C drive, then 'sfc /scannow' to ensure operating system files are not corrupt, and also run a sector scan of the drive. If CHKDSK fails, then you need to clear the errors (use "CHKDSK /F" to do that). If SFC (system file checker) fails, then your operating system is corrupt for sure - which means the upgrade simply won't work - you will need to backup and do a clean install (Option #3 below). To check for bad sectors I use "Macrorit disk scanner" (free). If you have bad sectors on the drive then you need to replace the drive; in this case the upgrade may or may not work if you are able to clone the drive onto another. If it fails, use Option #3 below. Assuming you have no bad sectors on the drive, another option is to wipe everything out and start over. This usually fixes the problem, however it is a very drastic measure, as it means you will lose all your installed programs. It also means you'll need to back up your entire system, then restore the user data / reset permissions on the data so it can be writable - otherwise you will only be able to read the data and not write to it. If you are performing an upgrade from Windows 7 or 8.1 to Windows 10 in order to get the free upgrade license, you will need to reinstall Windows 7 or 8.1 first (using Windows Media or recovery data), then perform the upgrade that way. If you already have Windows 10 installed and are performing a reset and it fails, then you will need the Windows 10 media and format it that way. If you purchased Windows 10 media, you can boot from the media and nuke away, then install clean. Don't forget to backup your data first! As you can see, 'The installation failed in the First_Boot phase' error is not an easy fix and requires a fair amount of technical know-how, plus a lot of time to perform the necessary checks, then move on to the next option. If all of this is over your head, or if you simply need someone that has the know-how to fix it - so you can get on with your life - I am more than happy to help using my remote desktop support service. Simply contact me, briefly describing the issue, and I will get back to you as soon as possible. I also do help desk work. #1 "We couldn't install Windows 10"
#3 the message you quoted: "The installation failed in the first_Boot phase with an error during SYSPREP Operation"
While the error message in the heading is useful, I ask for the FULL and EXACT error message text, and error code (if any). Or a screen capture of the error. I prefer the error codes because they are more specific. MS often uses the same generic text in their error messages.